We are excited to share this special performance series specially modified for children and families with sensory needs. A very important part of our mission at SCT is to provide children of all ages access to world-class, professional theatre. Scroll down to learn more about how these show are modified and the resources we provide. APRIL 28, 2019 11:00 A.M.
NEW THIS SEASON! Want to see all 5 Sensory Friendly shows in our season and get the best deal on tickets? Check out our Sensory Friendly Performance Package. Want to pick and choose which of shows to see next season? Check out our Flexible Ticket Packages. All Ticket Packages are on sale now! Single tickets go on sale August 1, 2019. October 6, 2019 11:00 A.M.
December 1, 2019 11:00 A.M.
February 16, 2020 11:00 A.M.
March 29, 2020 11:00 A.M.
Don't Let The Pigeon Drive The Bus: The Musical! APril 19, 2020 11:00 A.M.
What is a Sensory-Friendly Performance? Increased lighting in the seating area and house throughout the performance. Lowered seating capacities to allow for more space and movement between patrons. Use of tablets, smart phones, and other electronic devices can be used with headphones during the performance. Options to bring in and use special seating devices as needed. Additional trained staff on hand to provide patrons with assistance when needed. Refunds for tickets and cancellations made the day of show are options if necessary. Prompt sheets for family members to prepare before their show. Opportunities to visit the theatre prior to the show. Tours can be scheduled with Stephanie Couturier at stephaniec@sct.org. How do I purchase tickets for this special performance? To order tickets online, please click the links below. Ticket office staff are always happy to assist you and answer any questions. Subscription Ticket Packages: We are excited to share this special performance series specially modified for children and families with sensory needs. A very important part of our mission at SCT is to provide children of all ages access to world-class, professional theatre. Each Relaxed or Sensory-Friendly Performance incorporates special modifications to accommodate audiences with sensory needs. This package includes 1 ticket to each of the Sensory Friendly Performances in the 19-20 Season. They can be redeemed for either adult or children’s tickets. 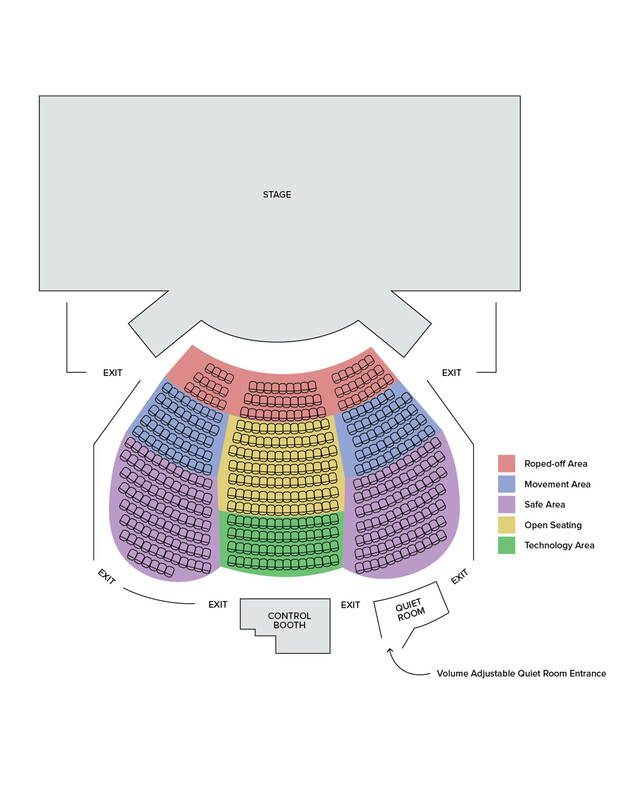 You must select the same number of tickets for each performance. To add additional tickets to a performance, please call the Ticket Office at 206.441.3322. If seeing all five shows doesn't work for your family, our flexible ticket packages can also be redeemed for Sensory Friendly performances. Got more questions? Contact the Ticket Office at 206.441.3322 or tickets@sct.org. Use our theatre guides, prompt sheets, and story books to help you prepare for your visit. Opportunities to visit the theatre prior to the show may also be available. Tours can be scheduled with Stephanie Couturier at stephaniec@sct.org. Map of Charlotte Martin: Shows designated movement areas. 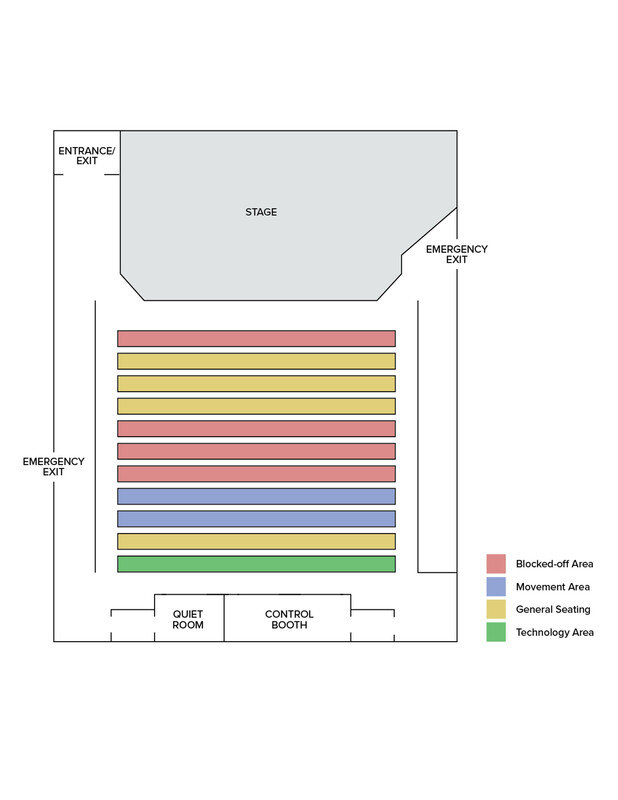 Map of Eve Alvord Theatre: Shows designated movement areas. Family Guides: Created specifically for each show, this will help your family better understand the show before arriving. Family Guides are released approx. 2 weeks before each performance. We would like to thank Safeco Insurance, for making these Sensory-Friendly/Relaxed Performances possible.